I use free software ImgBurn to build iso image on Windows. 2. The first step would be to create a raw image on Client1, this will represent the main HDD of the virtual machine, so make sure to give it as much space as you will need. Download both files for later using . II. pci_add_option_rom: failed to find romfile "pxe-rtl8139.bin"
5. I use VNC on my windows desktop . For now , you need RealVNC to connect your VM. Don't forget the -vnc :0 with your VNC viewer. The IP address is the host which hold the VM. After that you'll see a QEMU window , Just follow the installation step. You'll get into XP soon. 6. Install any softwares that you'll run in cloud server later. 7. Configure your XP for Cloud starting up. 8. Now turn off you Windows VM , everything is been write in winxp.img , we have to bundle it into cloud now. Euca2ool will be use in my example . But it wastes lots of time for Openstack Nova. Due to nova-objectstore need to untarring the image for Glance , It takes time to do that. 9. Security group for RDP connection. For OpenStack to allow incoming RDP Connections, use euca-authorize command to open up port 3389 . Attach a volume to instance as usual . You have to partition the new storage of instance. Any possible to get console-output of raw image? I've tried to create the windows image, but the file: virtio-win-1.1.16.vfd is no longer on the website, instead there is a file virtio-win-0.1-22.iso. I use this file (iso) and just doesn't work. So, I made some research and I've found the error, and It tells me is something with the vnc. - Do I need a graphic environment in order to create a windows image that can run in stackops? 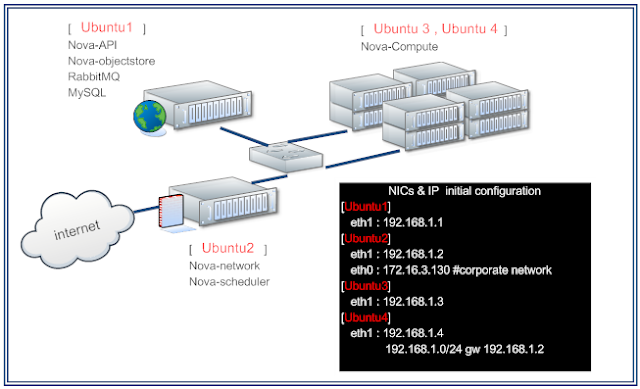 - How/Where do I configure the IP address for the VM? or What do I put in the vnc option in order to access my VM? The account aided me a appropriate deal. I had been tiny bit familiar of this your broadcast offered brilliant clear concept.